↑ "A Grass Roots Fight to Save a 'Super Tree'". The New York Times. สืบค้นเมื่อ 2013-12-10. ↑ 薛宏莉 (2008-05-07). 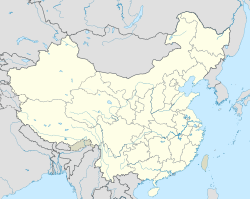 15个副省级城市中 哈尔滨市房价涨幅排列第五名 [Prices rose in 15 sub-provincial cities, Harbin ranked fifth]. 哈尔滨地产 (in จีน). Sohu. สืบค้นเมื่อ 2008-06-11. ↑ 走马南京都市圈 (in จีน). 中国经济快讯周刊/人民网. 2003. Archived from the original on 2013-11-03. ↑ 南京介绍 (in จีน). Xinhua News. 2012-10-09. ↑ 江苏省行政区划介绍 (in จีน). Government of Jiangsu Official Website (江苏省政府官网). ↑ Rita Yi Man Li, "A Study on the Impact of Culture, Economic, History and Legal Systems Which Affect the Provisions of Fittings by Residential Developers in Boston, Hong Kong and Nanjing", Global Business and Management Research: An International Journal. 1:3–4. 2009. Access via Questia, an online subscription service. หน้านี้แก้ไขล่าสุดเมื่อวันที่ 19 มีนาคม 2562 เวลา 04:38 น.